if you owe more than your house is worth! Jackie Allen - professionalism in action. The personification of excellence and integrity. A friend, a mother, a woman with energy and a desire to make a difference. A good neighbor. Individual attention is her philosophy in real estate - Jackie's profession, vocation and passion. She is recognized for leadership in her industry throughout the state. That's why helping newcomers and longtime residents achieve the American dream here is so important to her. 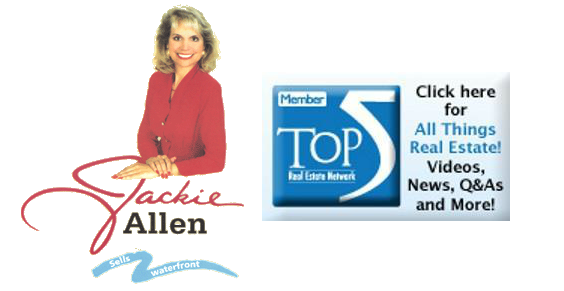 For superior representation in Florida's Gold Coast, Delray Beach, Boca Raton, Boynton Beach and the surrounding communities, whether looking for Ocean Front Properties from condos to Estates, Single Family Homes, Golf Course Communities, or expert Relocation Care, call Jackie Allen today. Call Jackie today to discuss all of your real estate needs!